The Economics of Entrepreneurship Course consists of 40 ready-to-go lessons teaching basic Economic Concepts with a focus on the value of Entrepreneurship by introducing a series of engaging short videos, inspiring articles and stories, as well as fun, interactive games and activities. It provides students with the tools and resources they need to start their own business and inspires further learning on their own. Entrepreneurs are modern-day heroes who are able to discover and provide for an unmet need by producing value for themselves and others in the community as both problem solvers and wealth creators. Creating and maintaining a culture that embraces entrepreneurship is critical to the long-term prosperity of our economy and our society. This self-explanatory course is self-paced and can be delivered to high-school-aged students by anyone. The main message delivers the inextricable link between personal character, free markets, and civil society. 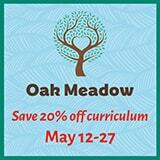 This course is ideal for enrichment or as a full course. Student and Facilitator Guides can be downloaded for free at courses.fee.org. FEE also offers a 1-day crash course in economics and the other is a basic economics 101 course which can be delivered in a classroom by anyone or taken online. These newer courses are also free and can be found at courses.fee.org/collections. The Economics of Entrepreneurship Course is a breath of fresh air among the available options for middle school or high school level economics education. As a homeschooling parent, with an economics degree and a passion for free market economics, it has been hard to find instructional materials that teach economics in a way that encourages free market thinking. This course does just that. It is taught from the perspective of Austrian economics in the tradition of Mises and Rothbard so that the core principles are solid. In addition, it takes advantage of an abundance of audio and visual resources available in order to make the principles and concepts come alive for students. Through well designed lessons that incorporate the resources above, along with activities that further bring home the concepts, students are introduced to free market economics in a way that will help them become the entrepreneurs of tomorrow. The Foundation for Economic Education has done an outstanding job constructing an introductory economics course which combines the fundamental principles of free markets with the practical application of economic concepts to everyday living. For home school students, FEE’s course offers both flexibility and breadth unsurpassed by typical high school economics classes. Students substantially benefit from this course by learning the importance of economics in society, while also exploring how they can individually apply the principles and ideas learned in the classroom to real life situations. 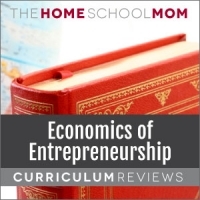 For home educators, “Economics of Entrepreneurship” is simple to teach and can be easily integrated into an existing curriculum, or can be taught as a separate class. 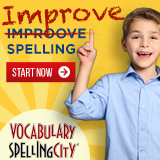 The course was designed with home school students in mind and possesses a high degree of flexibility.